 Yule, G., (2010). The Study of Language. Cambridge: Cambridge University Press. 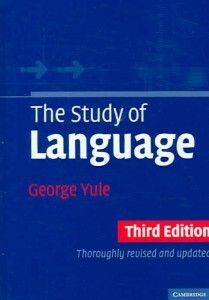 The Study of Language by George Yule. Information organised in short, concise chunks. Morphology chapter: word formation processes, problems of morphology and examples in other languages. Tasks and discussion topics at the end of each chapter are helpful for deeper or further learning. Essay aims at readers with no background in linguistics. Illustrate the problems and possibilities of morphology together with a background of the concept of the discipline. It is published online by Blackwell Publishing and is available here. 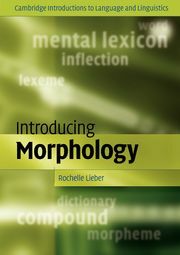 Introducing Morphology – Cambridge Introductions to Language and Linguistics by Rochelle Lieber. Intended for students with relatively little prior knowledge in linguistics. Basics to in depth theoretical issues of morphology. Lieber, R., (2009). Introducing Morphology: Cambridge Introductions to Language and Linguistics. Cambridge: Cambridge University Press. The reader is encouraged to discover more through challenges and activities designed to offer the opportunity to do experiments and collect own data to analyse. Yule, G., (2010). The Study of Language. Cambridge: Cambridge University Press. Aronoff, M. and Fudeman, K., (2005). What is Morphology? London: Blackwell Publishing.